Newly launched at Watches&Wonders 2014 and featuring a retrograde dual time zone and big date, the Rotonde De Cartier Second Time Zone Day/Night is conceived as Cartier’s entry level, “small complication” wristwatch. As watchmakers adjust to the slow demand for fine timepieces, more affordable timepieces are making their way to market. One example being the Cartier‘s new Rotonde De Cartier Second Time Zone Day/Night, which starts at just under US$10,000 in steel. This has a second time zone displayed in an usual manner – a retrograde scale from one to 12 indicates the hours of the second time zone, while day or night is shown in a cut-out at four o’clock. Because of the lack of numbers on the scale, the retrograde second time zone takes a moment to read. Pushing the crown advances the second time zone by one hour steps. And at 12 o’clock is the large date. 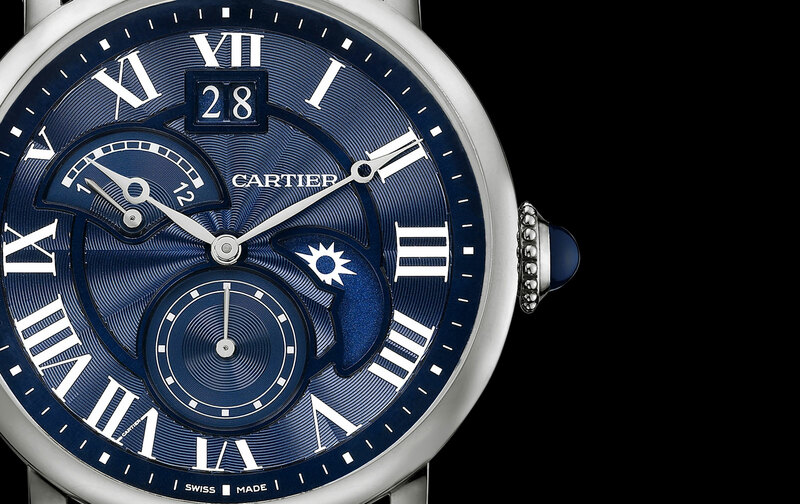 Silvered, guilloche with blued steel Breguet hands and Roman numerals, the dials are typical Cartier in style. 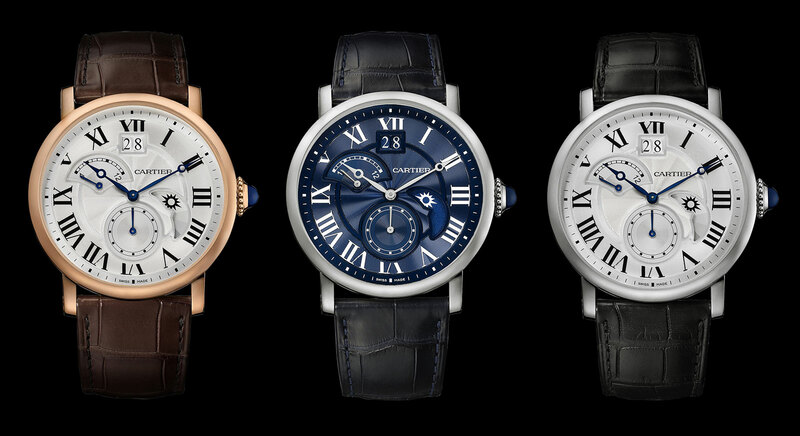 One exception is the white gold model, which has an attractive, dark blue dial and white numerals. The case diameter is 42 mm with a thickness of 11.96 mm, dimensions that are easy to manage. 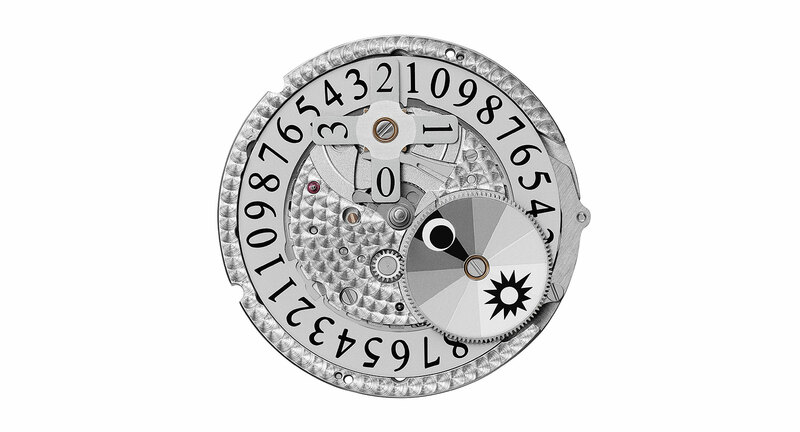 Inside is the 1904-FU MC, a self-winding calibre developed by Cartier. The suffix “FU” stands for fuseaux which translates as “time zone”. The Rotonde De Cartier Second Time Zone Day/Night starts at US$9650 in steel, climbing to US$26,000 for rose gold and US$27,800 for the white gold.